Whether your goal is to launch a small business, manage a retail chain, or lead teams within a multinational Fortune 500 company, St. Ambrose has a program to help you attain your goals. Our graduates work at Charles Schwab, Enterprise Car Rental, Northwestern Mutual, TAG Communications, and many others. Our expert faculty give you the education and opportunities to build career-enhancing management credentials, allowing you to achieve your ambition. Foundation courses will give you a broad education in accounting, macro- and microeconomics, finance, reasoning, marketing, and business ethics. Specialized courses include management strategies, planning for new ventures, human resources, workplace diversity and gender, and operations and supply chain management. Business majors can choose from two concentrations: Entrepreneurship for those interested in launching a business and Operations and Supply Chain Management for those seeking a career in manufacturing and supply. You can also dual major to deepen your skills and expertise. Our International Business program gives you the skills to succeed in an international environment and our Study Abroad programs broaden your cultural understanding. Read more about Study Abroad below. 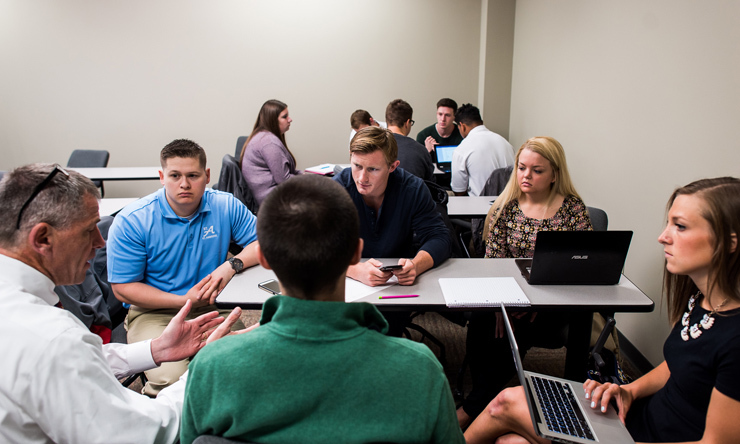 Our Management major is offered through the SAU College of Business, which is accredited by the Accreditation Council for Business Schools and Programs (ACBSP). Only about 1,500 U.S. business schools and colleges are accredited. How can I supplement my education? The SAU College of Business has a comprehensive internship program to give you quality hands-on, marketable experience. Management students have interned at many regional and national corporations, including the Rock Island Arsenal, MidAmerican Energy, and Deere & Company. What are some potential careers paths? Management professionals can enter many career fields, including marketing, financial, travel, banking, entertainment and more. Several of our alumni have joined their family business. Your skills are also highly valued by companies that focus on retail, hospitality, banking, manufacturing, transportation, and entertainment. Our alumni speak often about the quality and value of a St. Ambrose education. 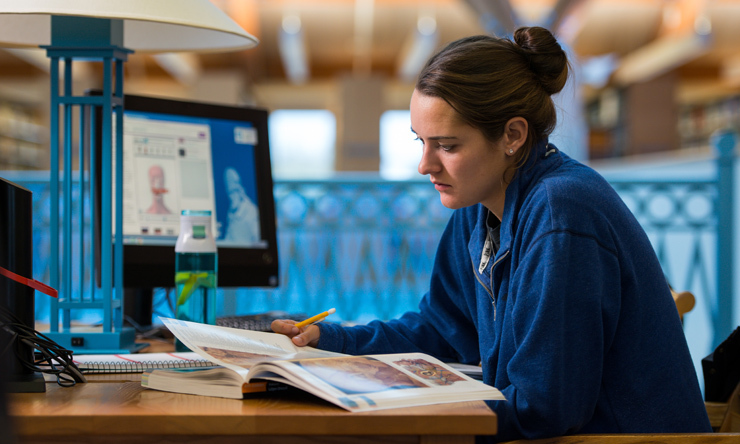 A recent survey of SAU College of Business graduates found 97% were employed full- or part-time, in graduate school, continuing their education, or weren't seeking employment at the time. Wes Erickson '12, '14 MOL thought he would head into the armed forces, but instead found his passion in management and marketing. Although he achieved minors in those areas, his knowledge and interests - as well as mentoring by Wes' favorite professors - propelled him toward a master's degree in Organizational Leadership at SAU. As a Project Manager with UnityPoint Health's Enterprise Program Management Office, Wes succeeds at his job with the well-rounded and multi-discipline education he earned at Ambrose. Elijah Grant IV '15 double-majored in management and marketing and now runs his own media firm, Grant Media in Davenport. 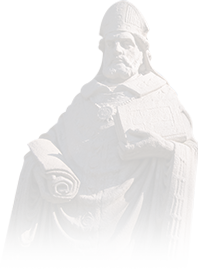 Knowing how to affect change and inspire people was what Elijah took away from St. Ambrose. "The leadership opportunities on campus made my time at St. Ambrose worthwhile. Being in those leader roles as a student prepared me to lead outside of the classroom and helped me grow as a person." Another option is to choose to a Management concentration (below). This is the suggested plan of study to graduate in four years with a degree in Management. This plan assumes the student has not taken three years of foreign language in high school. Each major (e.g., Industrial Engineering, Music, Graphic Design, Theatre, Computer Science, Kinesiology, Marketing, Finance, Accounting, etc.) will propose specific courses that their students could select. These courses will be identified or designed in consultation with the Management Department so that each program's needs are met. Brittany Bersano '14 | DUAL MAJOR: MARKETING AND MANAGEMENT, LEADERSHIP MINOR | "There are so many opportunities to get involved. The doors were opened to develop all of my skills and apply them in an array of situations. That helps you get involved in different activities outside your boundaries."